Who likes the idea of a car that looks like the one you lusted after as a kid, but drives like something a touch more modern? Turns out enough people to justify a tranche of restomodding businesses. 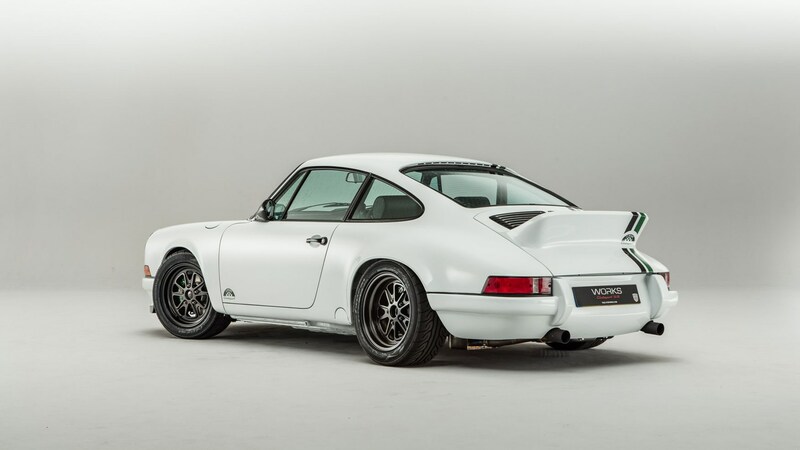 Paul Stephens has been modernising old Porsches for a few years now, and his latest creation is the Le Mans Classic Clubsport – a car inspired by the race of the same name. Only ten will be built either in touring (seats in the back, more comfort), or lightweight (no mod cons, all about the drive) spec depending on what the client wants. The interior trim its beautifully put together. Leather is everywhere, gaps are kept to minimum, and there’s Le Mans Classic green detailing all over the cabin. It’s sublime, even in the pre-production car available to drive. Based on a 3.2-litre G-Series 911, the motor’s boosted to 3.4-litres and kicks out 300bhp. That may not seem like much in a world when a Golf can achieve the same power, but considering the lightweight car’s 970kg kerb weight it’s a bit of a rocket. 0-60 takes 4.4 seconds and it’ll hit 170mph with the right amount of space. The motor’s been heavily breathed on with a new cross shaft-less ITB injection system with GT3 plenum, a programmable ECU mapped in house, RS specification camshafts, a lightened and balanced crankshaft, lightweight conrods, and a lightweight flywheel mated to a Getrag G50 gearbox and limited slip differential. It’s a serious bit of kit. Some would say that 300bhp isn’t much power. In a car that weighs the same as the moon, they’d be right. This doesn’t weigh the same as the moon. It hits peak power towards the top of its 7,800rpm rev range, and you get a wonderful air cooled flat six soundtrack to boot. There are no electronic aids to save you in case of stupidity, no airbag either. You have to treat it with the respect you’d give a classic 911, albeit one with beautifully sorted mechanicals. Thanks to an incredible chassis set up, decent rubber, and a responsive motor the Le Mans Classic Clubsport flies. The amount of grip on offer is simply addictive, causing you to push harder with every bend. Head in to a corner, trail brake, push hard out, and you’ll feel the car squat over its rears and fire you out with giddy abandon. At road speeds there’s no hint of movement either, so you needn’t worry about turning it in to a lawnmower. You do have to treat it with caution in the wet though. It’s still a classic 911 layout after all. Steering feedback is that same fingertip tingling Porsche magic that people lust after. It makes tipping it into a bend addictive. 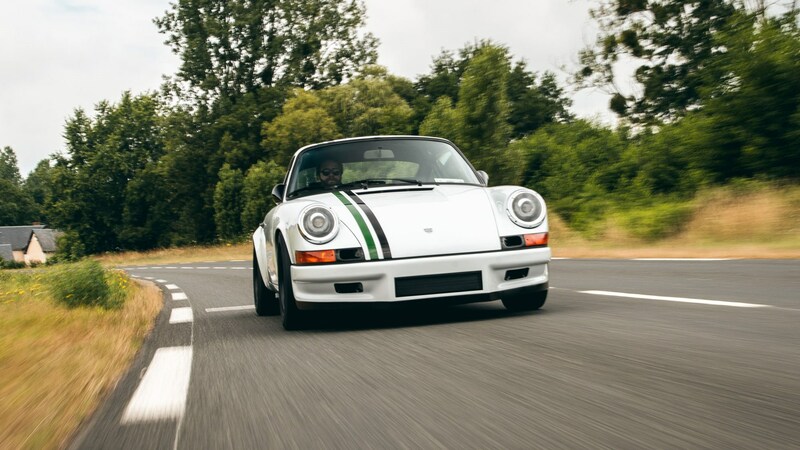 It’s an idealised take on a classic 911, which means it’s got all the pace, noise, and handling prowess you’d expect it to have- with sublime fit and finish on top. There’ll only be ten of them, but those ten owners will have a hell of a good time.